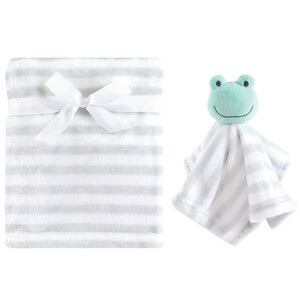 Our Hudson Baby Plush Security Blanket Set is soft and cuddly, and perfect to aid in child development. Security blankets provide children with emotional support, offering a safe place to withstand fear or pain and to handle being away from their parents. 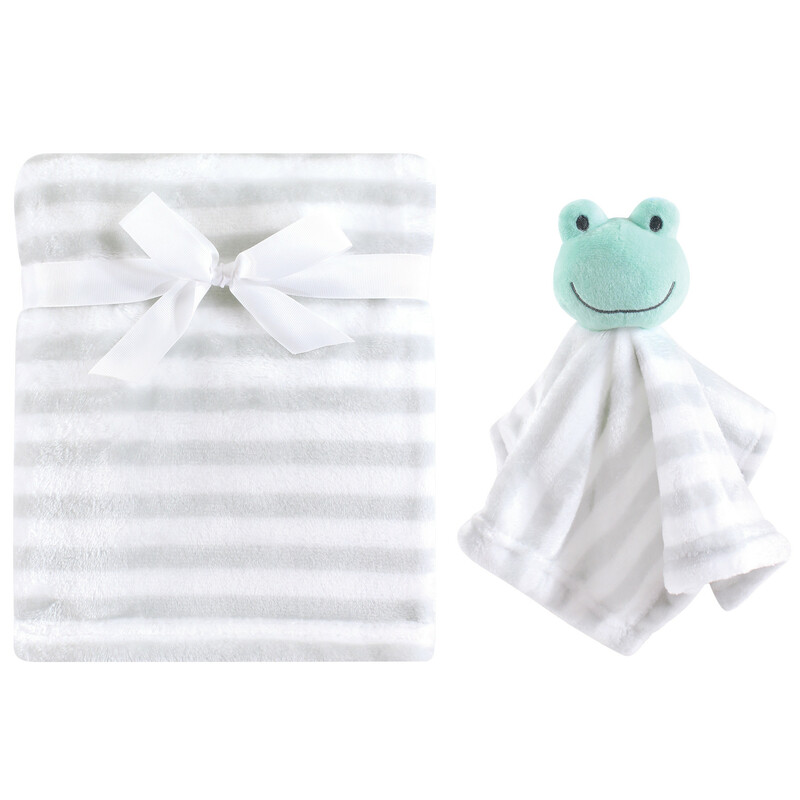 Made of warm and consoling plush fabric, our security blankets are safe and gentle on baby’s skin, but durable and machine washable for everyday use. 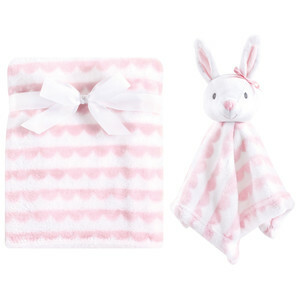 This set comes with the large blanket, and also a smaller blanket with an adorable animal character attached. The larger blanket measures a generous 30 x 40 inches, perfect for snuggling, cuddling, swaddling, or as a car seat or stroller cover. 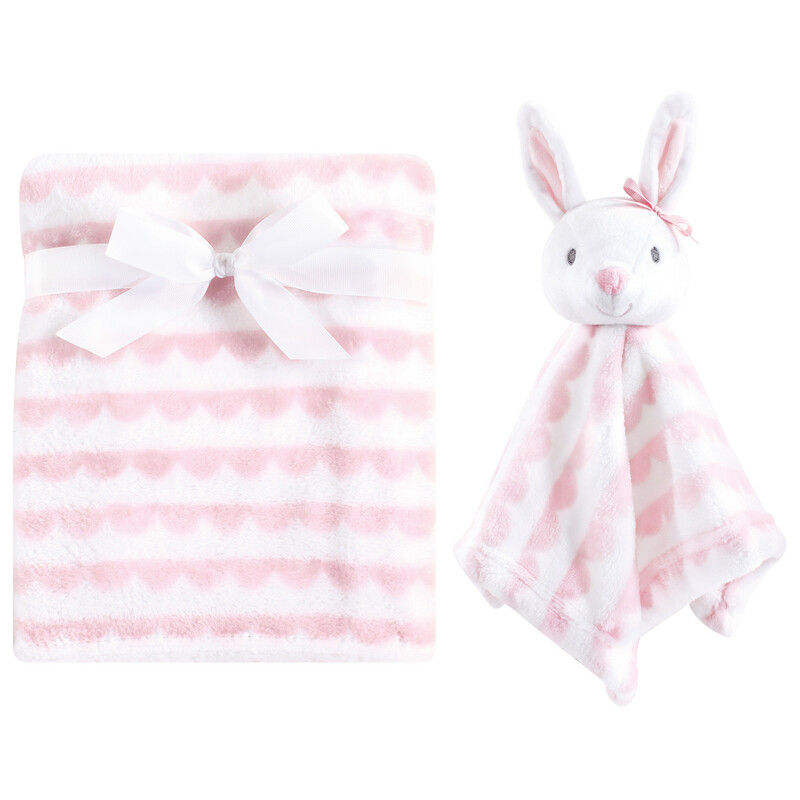 The smaller blanket is perfect for baby to carry around and play with in the house, car, daycare, or nap time. 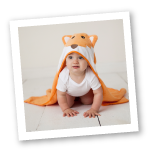 The animal character offers a friend and security buddy for baby when being apart from parents. This set arrives with a gift ribbon tied around, so there is no extra wrapping necessary for easy gift giving! 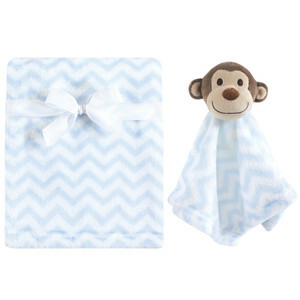 Perfect for those last minute baby shower or holiday gifts!